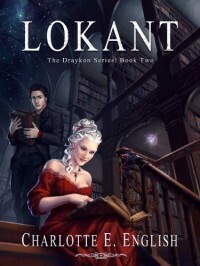 Lokant is the second book in the Draykon series and it is a fine sequel to the first one. I had reviewed the first book, ‘Draykon’ earlier here. As hoped for and expected, the second book continues with the story of Llandry, with all other characters making an appearance as well. There are a plethora of new characters, who add completely new dimensions to the story. After reading the first book, I had built up in my head, a direction the story would take. I have to say that the story moved in a completely different but equally nice direction compared to what I had imagined. The book definitely moved into science fiction territory, which I love. SF and fantasy are my two favourite genres and any combination is always welcome (The SF parts are not overwhelming or unbelievable and are credible enough to go down smoothly with the reader). This book really expands the stage on which the story is played out. We find that the three conjoined worlds in the previous book are just a small part of what is really happening. This, at first seemed to me, to be an unusual twist which I could not really digest. But as the story moved forward and things became a little clearer, the roles of everyone in the story became a lot more defined and that is where the fun began. There are a lot of new characters introduced in the book. 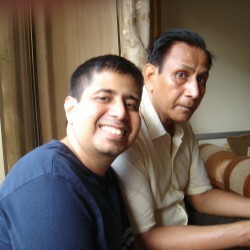 There is Kray who is after the Draykon bones and is willing to do a lot of dastardly deeds to get to them. There are all the Lokants each of which seem to be human emotionally, but has powers that no human can match. Others as well, all of whom add new dimensions to the story. The heart of the book, to me, is the development of the character of Llandry. She finds herself in a new form, a new world and with a new mate. Her change from the shy and reserved girl in the first book to a fearsome Draykon in this one is just brilliant. She does retain a lot of her human emotions which had endeared her to me in the first book. The mystery elements of the previous book continue in this book as well. The mystery of the istore stone of the previous book is just a small part of the larger mystery which plays out in this book. I will, of course, not tell you what the mystery is and let you find it put for yourself. The plot has been magnificently crafted by the author and this book definitely promotes this series into the epic fantasy arena. The author’s talent in keeping the reader guessing and wanting to come back for more is simply fantastic. As usual a number of questions are left unanswered at the end of the book (I expect nothing less from a book in the middle of the series). Why do some people want to reignite an old war? What will happen to the enmity between Krays and Limbane? What is Llandry’s role in all this? What will happen (or not happen) between Eva and Tren?